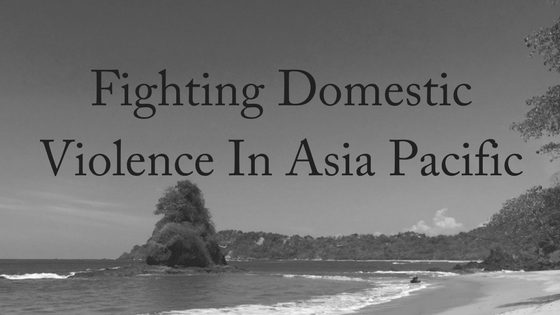 Fighting domestic violence continues to be an issue for Australia’s immediate neighbours in the Asia-Pacific region, where many developing nations do not have legislation making violence illegal. 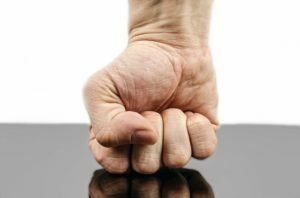 As a result, family violence is widespread, but an Australian initiative is underway which is fighting domestic violence. One in three women worldwide will experience violence, nearly half the time from someone they know. In 2016, a new program was launched to fight gender-based violence by strengthening the region’s capacity to collect better data, leading to better policy and protections. Started in August by the United Nations Population Fund (UNFPA) Asia-Pacific Regional Office and the Australian Department of Foreign Affairs and Trade, the three-year initiative is called kNOwVAWdata. The stunning statistic that one third of all women worldwide report experiencing physical or sexual violence in their lifetime comes from a 2013 World Health Organization study. Most often, the study showed, the perpetrator is an intimate partner, usually the woman’s husband. In Asia and the Pacific, the rates of prevalence vary by country, spanning anywhere from 15 percent to 68 percent. Australia has been working with UNFPA to collect prevalence studies in Asia and the Pacific for more than 10 years, making the region a good starting point for kNOwVAWdata. Still, nine of the 37 countries in the region – and many globally – have never done a national survey as of August. Only six have only done more than one. The initiative of the UNFPA Asia-Pacific office and Australian Department of Foreign Affairs and Trade aims to create a network of researchers who understand how to measure violence against women, and to make the survey tools and methodology open-source. The initiative will also help countries use the data for policy and behavior change aimed at ending violence against women. For many of these women, the survey is the first time they have ever shared their experiences. Many are afraid of more violence if their abuser finds out, of not being taken seriously, of the social stigma or even of being blamed. Interviewers must undergo extensive training to handle the situation with sensitivity. Researchers found that violence against women was not a public policy issue because most people were ignorant of its prevalence, thinking that it only happens among the poor or under the influence of drugs and alcohol, for example. But once a survey had been done, the data clearly showed that gender-based violence is a pervasive problem irrespective of social class or education. In the Marshall Islands, an independent Pacific Island nation that lies in the north-western Pacific Ocean, approximately 58% of men and 56% of women generally accept that violence against women is a normal part of marital relationships and 36% of women have experienced either physical or sexual violence, with spouses being the most common perpetrator of both. About 22% of all women report experiencing physical violence in the previous 12 months. Among women who have experienced physical violence, 72% reported that a current husband or partner committed physical violence against them, while 21% reported that they had experienced violence by a former husband/partner. However, new legislation introduced means that the country is serious about fighting domestic violence. More women in the Marshall Islands are reporting domestic violence thanks to a new process for requesting temporary protection orders against abusive spouses or partners. As recently as 2014 not a single protection order was sought but since the introduction of the new process this jumped to 10 in 2015 and rose to 12 in 2016, with two cases already reported this year. Under the new system applicants do not need a lawyer but are assisted by High Court staff to fill out an affidavit form which is then submitted to the judge for action, normally on the same day as it is filed. In Australia, fighting domestic violence is an ongoing battle, but help is available. If you need legal advice, contact our friendly family lawyers today. We offer a FREE, 10-minute phone consultation.